, to get back deleted, formatted or lost data from hard drive, flash drive or memory card safely and easily. Simple three steps to recover lost data, everyone can learn it in minutes. Recover lost files that have been accidentally deleted or changed. Recover data lost by your carelessly formatting the disk or partition. Recover files deleted by "Shift + Delete" or emptied from Recycle Bin. Get data back from formatted, deleted, damaged or lost partition. Retrieve files from RAW, inaccessible, corrupted or formatted partitions. Recover files lost by hard drive's bad sectors or other damages. Recover files when Windows crash and can not bootable. 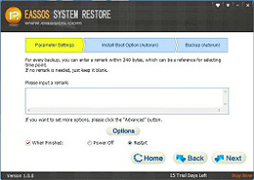 Recover data lost for the reasons of virtus attack. 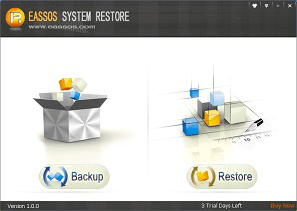 With high recovery rate, risk-free and user-oriented design, Eassos data recovery software could be the must-have tool for you to get back lost data from any kind of data loss scenarios. 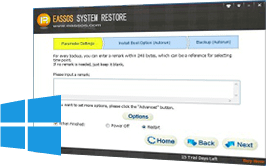 Eassos Recovery provides four powerful data recovery modules, which helps you recover any files you lost from various data loss situations. The recovery wizard makes data recovery easier than ever. Just follow the step-by-step instructions and you can recover lost files easily. It allows you to preview photos, documents, videos, audio, text files and more so that you can locate lost files precisely and check their quality in advance. The entire recovery process is totally read-only and risk free. It recovers lost data without leaking personal data or destroying any original data. It supports recovering data from various devices with file system NTFS, FAT16, FAT32 or exFAT. 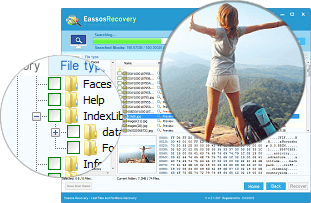 Eassos data recovery software supports to recover all lost files with any format for you. Documents TXT, DOC/DOCX, XLS/XLSX, PPT/PPTX, PDF, ODB, MHT, QPW, XPS, RPT, HLP, PUB, VSD, etc. Images JPG, PNG, RAW, PSD, TIFF, BMP, GIF, CR2, NEF, ORF, ICO, SR2, MRW, WMF, DNG, ERF, CDR, DCD, etc. Video AVI, MPG, M2V, VOB, WMV, MP4, MOV, RMVBM 3PG, MTS, FLV, MXF, FLA, WRF, SWI, 3G2, etc. Audio MP3, WAV, WMA, AMR, RA, M4R, OGV, OGG, S48, MMF, AIF, M4R, etc. Archive ZIP, RAR, 7Z, TAR, CAB, ISO, GHO, PMF, etc. Others DBX, PST, VNT, APK, DLL, EXE, DRW, IPA, JAR, SYS, OLE2, LNK, DRV, MSI, VEG, APK, etc. I used the data recovery tool to recover some files from a disk which had a corrupted directory, and I could not access any user accounts. Eassos Recovery worked like a dream and I have all my files back. What an excellent product. Your software is the best tool to get back lost files and photos. With simple clicks, I recovered almost 100GB files from my external hard disk which got formatted in Disk Management. Thanks a lot! Eassos Recovery is excellent! It worked great and recovered all lost data from a RAW partition on my Windows 10 PC. Plus, the pre-recovery preview of lost data is really helpful. It is really a good investment! Fixed an issue that it prompted scanning progress didn't match when loading specified scanning progress. 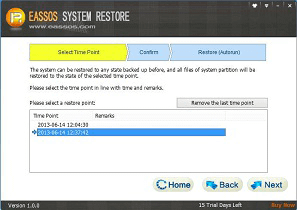 "Eassos Recovery has indeed amazed me! When nothing else worked, this tool saved 200GB files from my PC!" How to recover deleted files with free recovery software? 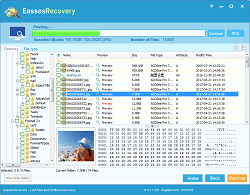 How recover deleted photos from memory cards and Android phones?